Since arriving in Ukraine in the mid-1990s, ING has been instrumental in building corporate bridges between the country and the global economy, both through support for multinationals operating inside Ukraine itself and by helping major Ukrainian corporations gain access to international markets. ING first entered the Ukrainian market in 1994 as a rep office, before securing a full banking license in 1997. Many of the bank’s corporate clients have now been with ING for more than two decades, representing some of the longest-standing business relationships in today’s Ukrainian financial services sector. This reputation for reliability is something the bank prides itself on. It has also helped ING gain ground in recent years as corporate customers in Ukraine sought access to the bank’s international network and safe haven stability amid the turbulence of the post-Euromaidan economic environment. When ING began operations in Ukraine, the country was still very much emerging from the Soviet shadows and remained dogged by negative “Wild East” perceptions that worked to discourage international investment in the country. In those early years of independence, the presence of ING often served as a vote of confidence in Ukraine’s credibility as an international partner. The 1999 restructuring of around USD 1 billion in Ukrainian sovereign debt stands out as a key moment in the country’s economic evolution that saw ING playing a lead role alongside the National Bank of Ukraine in a breakthrough that did much to demonstrate Ukraine’s diligence. This was one of many occasions in the late 1990s and 2000s where ING was at the forefront of groundbreaking developments in the Ukrainian corporate business sector, including an active role in the placement of IPOs for Astarta, IMC and Kernel. More recently, ING has been the first financial institution to reopen international public debt markets to top Ukrainian clients following the extended turmoil in the country’s economy since 2014. This has helped the bank’s corporate clients overcome what was one of the greatest obstacles to financing in recent years. Over the past 12 months, ING was a co-arranger in Eurobond issues for Kernel, MHP and Metinvest, with an aggregate value of USD 3.7 billion. These transactions have gone a long way towards changing perceptions among international investors of Ukrainian risk in the post-crisis environment and have opened the door to new liquidity. 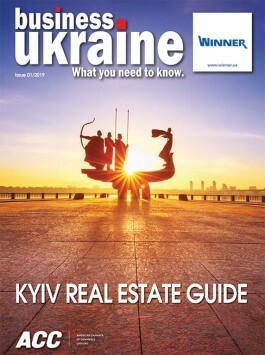 “The bank’s reach to global investors along with our strong and long-term relations with Ukrainian clients and expertise made ING the natural first choice for local businesses tapping international markets since the crisis,”says Evgeniy Omelchuk, Head of the Corporate Agri Business Division at ING Bank Ukraine. Multinationals remain the core client base of the bank in Ukraine with ING providing the financing that has facilitated much of the major international investment into the country since the 1990s. ING is one of Ukraine’s most capitalized banks and ranks among the country’s top three international banks servicing multinational companies, making it an obvious option for global brands entering the Ukrainian market. Many of ING’s recent Ukrainian innovations focus on providing added benefits for multinational clients. Launched in summer 2017 for one of the bank’s international clients in Ukraine, the SWIFTNet service is a global channel of communication between clients and the bank. It allows international groups who have centralized payment or operate with banks via Swift connectivity to include Ukrainian subsidiaries into their global payment setup and make fully automated and straight-through payment processing. The bank’s international reach and regional networks also allow it to offer clients in Ukraine e-banking solutions such as Insidebusiness payments across Central and Eastern Europe (CEE), which helps to manage accounts held in any CEE country from a single point of access. These IT solutions are very much in line with the vision of ING Bank CEO Ralph Hamers, who stated in August 2017, “We want to portray ourselves as a tech company with a banking license.” This culture of innovation has become a top priority for the bank, not only in terms of products, but also in approaches to business in general. This is what ING is doing globally and this is how ING officials in Ukraine say they would like to do business in the ground. “Innovations in products, in processes, and in our way of thinking are fundamentals when it comes to doing business and building long-running relationships with multinationals,” offers Olga Kyrychuk, Head of the International Business Clients Desk at ING Bank Ukraine. Looking ahead, ING in Ukraine sees the bank’s current focus on agriculture growing as this strategic sector continues to take on a more important role in the broader Ukrainian economy. At present, agribusiness clients represent between 35% and 40% of the ING portfolio in Ukraine, including major Ukrainian groups and large multinationals. Twenty years ago, the bank started out with risk limits of USD 10-15 million in the Ukrainian agriculture industry, but it now operates with a more than USD 650 million portfolio limit allocated to the sector. ING has been involved in virtually all of the major syndicated finance deals in the sector in recent years, and is now seeing growing appetite for investment in upgrades of processing and infrastructure facilities as market participants look to capitalize on rising stability. The bank observes considerable potential for further growth in export volumes (grains), in added-value food products involving deeper processing, and in export and interior logistics. “We use the global expertise of ING to introduce best practices of international equity and debt markets to our clients, and help them to implement their core business strategy,” says Oleg Kababchian, Large Corporate Agri Clients Lead Manager at ING Bank Ukraine. Underpinning ING Bank’s two decades in Ukraine is a team that in many cases has been with the bank since the very beginning. 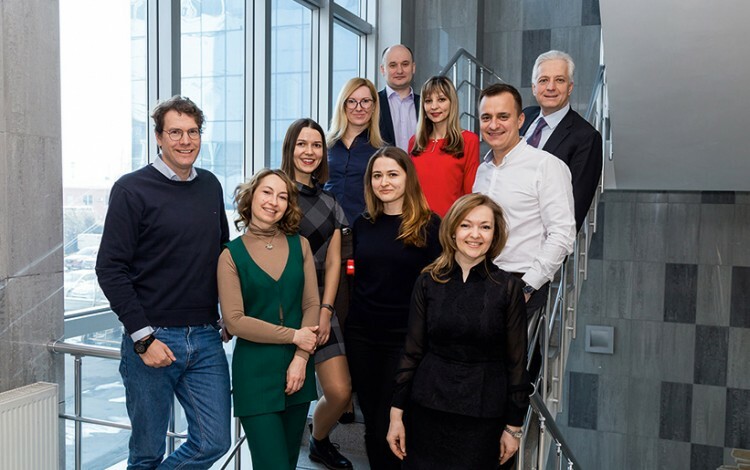 Despite high rates of employee turnover elsewhere in the Ukrainian banking sector, the majority of today’s ING employees in Ukraine have worked at the bank for more than ten years, while a significant number can trace their ING careers back to the 1990s. The bank takes pride in this record but emphasizes a forward-looking HR policy rooted in a highly original Employee Value Proposition – to become what ING officials term as an “Unbanky Bank”. In practice, this means fostering a creative and innovative work environment that allows talent to develop and encourages personal growth while offering staff the chance to gain international experience within the ING network.